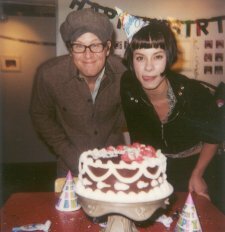 An Installation by Theresa Ala Mode and Mark G. E.
The Smith Family loves their birthday cakes. 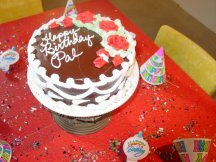 Every Smith hopes that this year they will get a Paielli’s cake. 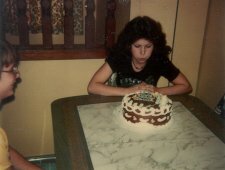 The particular cake in question is a ten inch chocolate cake with chocolate frosting and white butter cream filling. 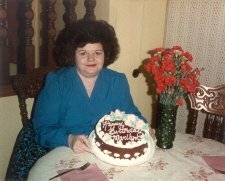 Not receiving this cake could cause a family crisis. 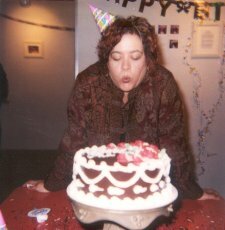 Over the years, the cake developed into a fetish that was obsessively observed. 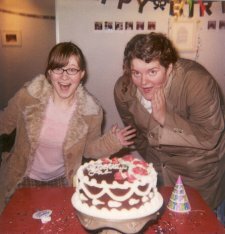 Having the same cake year after year was the goal. 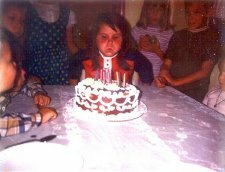 Every year, it was required to take a picture of the coveted cake. 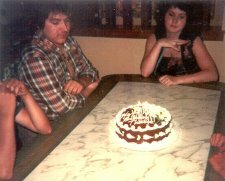 In many photographs it becomes clear that the cake is much more the focus than the birthday recipient. 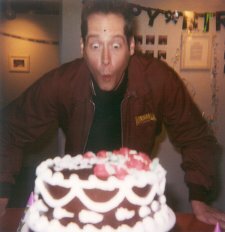 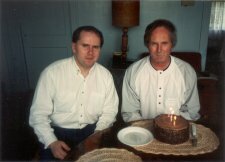 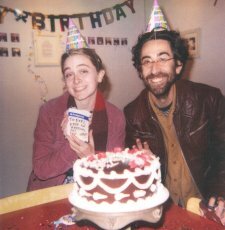 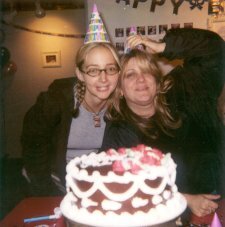 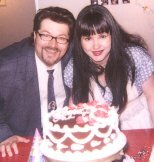 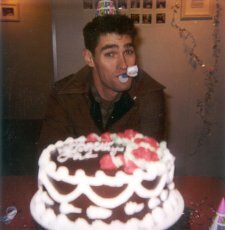 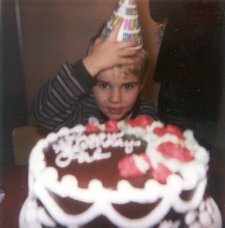 In the photos where another cake was used, the celebration may not have lived up to all of its possibility. 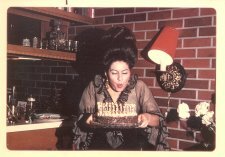 Many Happy Returns is a collection of photographs, altered audio and baked goods that explores the birthday ritual, its meaning and possible loss of meaning through repetition. 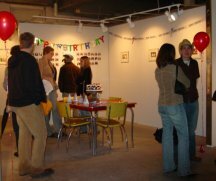 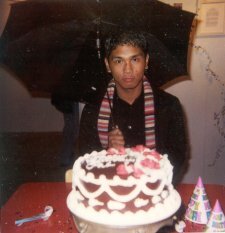 Selected viewers are part of the interactive experience as they enjoy the cake and are photographed for the collection.